One thousand costumed participants take to the streets of Liverpool in a celebration the City’s diversity and creativity. Liverpool Carnival brings together over one thousand local, regional national and international costumed participants, to dance, drum and masquerade. Join in on the road, there’s something for the whole family as the parade winds its way through Toxteth, coming to rest in Princes Park. 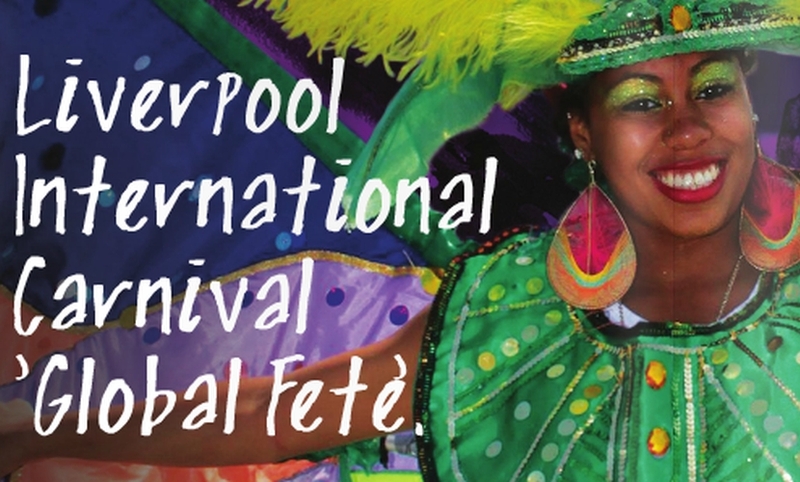 ‘Liverpool International Carnival is an explosion of costumes, dance and music, the City’s largest artistic parade bringing people and communities together to celebrate the diversity and creativity that is ‘carnival’. Carnival sees the presentation of 1000 costumes as well as new large-scale carnival structures and costumes. Dance along to the mighty drumming sound of KalentuRa from the Netherlands; be amazed by the costumes of the Junkanoo Commando’s from the Bahamas; catch the highest stilt walkers around from the Republic of Trinidad and Tobago as well as sing along to latest Soca hits.